[SatNews] Kratos Defense & Security Solutions, Inc. (Nasdaq:KTOS) has recently received three contract awards with a total value of approximately $40 million for satellite communication Earth stations, command and control systems and other satellite communication related products and services. 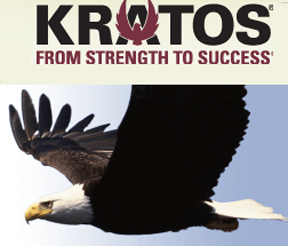 Kratos is a leading provider of satellite ground segment solutions, including Command & Control, Signal Processing & Communications, RF Interference Mitigation, Carrier Monitoring, Satellite & Terrestrial Network Management, Service Quality Management and Global Managed SATCOM Services for the United States and its allied national security agencies, as well as commercial customers around the globe. "These three awards include a broad range of products, application areas and solutions, reflecting Kratos' leadership across the entire satellite ground segment," said Phil Carrai, President of Kratos' Technology & Training Solutions Division. "We are proud to have the confidence of these customers in supporting their critical satellite communications requirements."